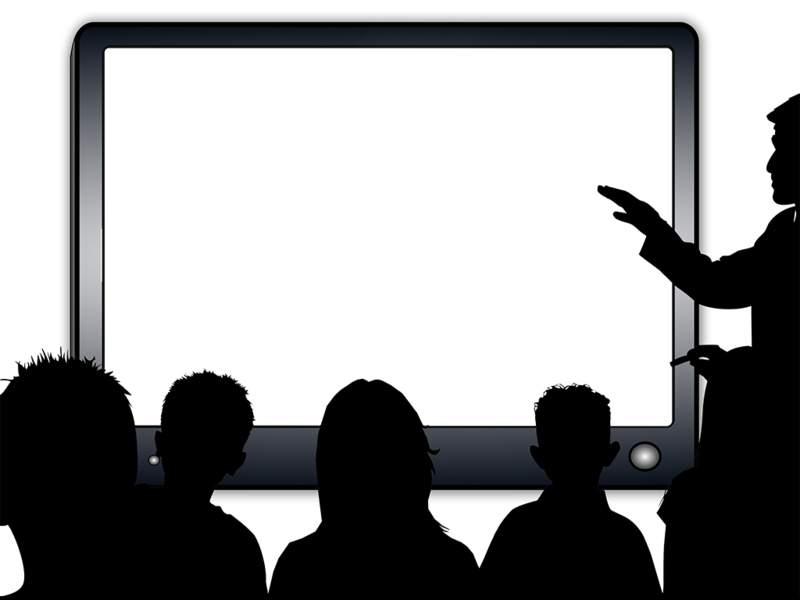 Black and white illustration of a presenter pointing at a wall display with knockout. 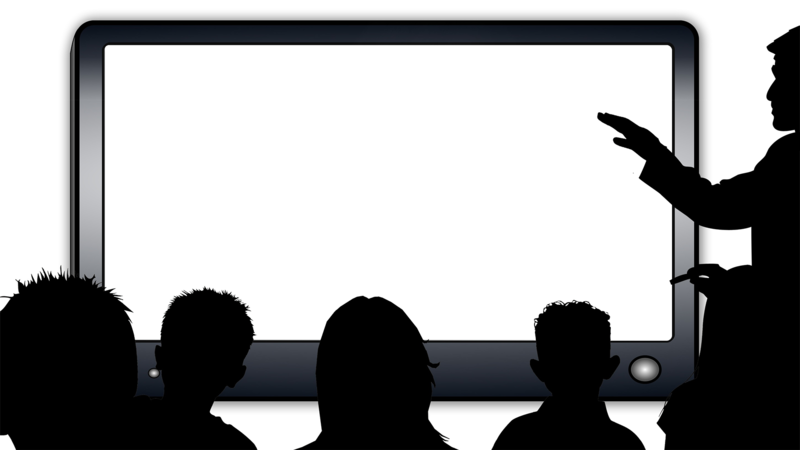 Audience members are silhouetted against the screen. Layer over a photograph to make it appear the photo is displaying on the screen.